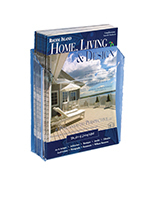 Acrylic is Clear for Best Views of Displayed Literature. Slanted Pocket Offers Better Views. 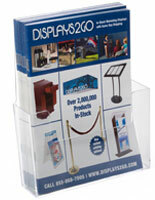 Countertop Stand is a Compact Fxiture. 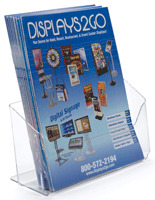 The countertop magazine holder is made of clear acrylic to offer views to customers of leaflets inside. 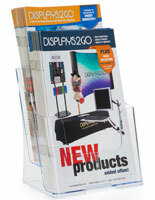 The literature display can be put next to a checkout counter to tempt customers into buying something at the last minute. 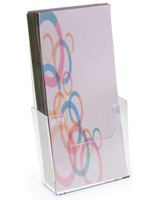 The holder for businesses is great for holding important leaflets or other reading materials in waiting rooms or reception areas. 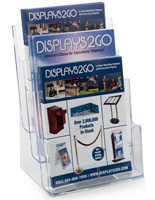 The front of the literature display has a notch to make it easier for clients or customers to grab what’s inside. 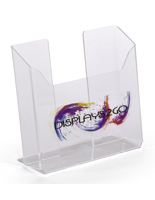 The holder is designed to be used on tables, counters, or other flat surfaces. 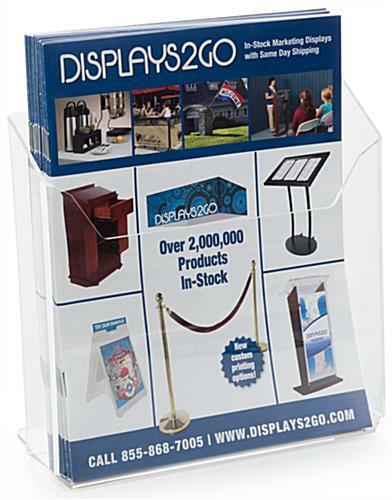 The acrylic business fixture is compact and won’t take up much room anywhere it is placed. 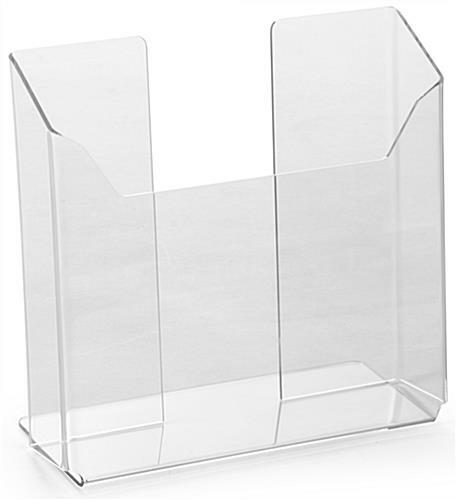 Like this holder because it stands on it's own - we keep it in our rental cabins with information about our cabins like For Sale flyers as our cabins are for sale. It is pretty tall and gives support to papers front and back that you may want to display - some I've noticed are only good for displaying booklets which stand up better, not these. 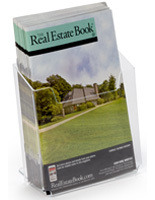 They can be placed anywhere easily given they stand straight up and have a slot for the papers.